The hive mind – correctly called collective consciousness and what we call co-creation – can deliver solutions to problems in two ways. The first is a bit like magic – the rather unglamorous fairground type of magic. ‘Guess the marbles in the jar’ games can be solved with an unnerving degree of accuracy by taking the average (sum of guesses/number of guesses) of all guesses. Odd. But true. The second hive mind jiggery pokery involves an audience involved in production and consumption in a perpetual loop. The business around which this swirls manufacture and deliver the hive-designed products along with other bits of business housekeeping that generally reduce the friction of designing and consuming. Lego’s create-your-own is the oft cited example. Don Tapscott and Anthony D. Williams of Wikinomics: How Mass Collaboration Changes Everything fame, call this the ‘prosumer’. It can even delightfully backfire like ThinkGeek.com’s April Fool’s joke Tauntaun sleeping bag. The World Wildlife Fund wants a bit of this magic dust, and teamed up with crowdsource platform (someone needs to fix on a term and USE IT) Idea Bounty to ask creative thinkers around the globe for input on a new marketing campaign to make sustainable living cool. 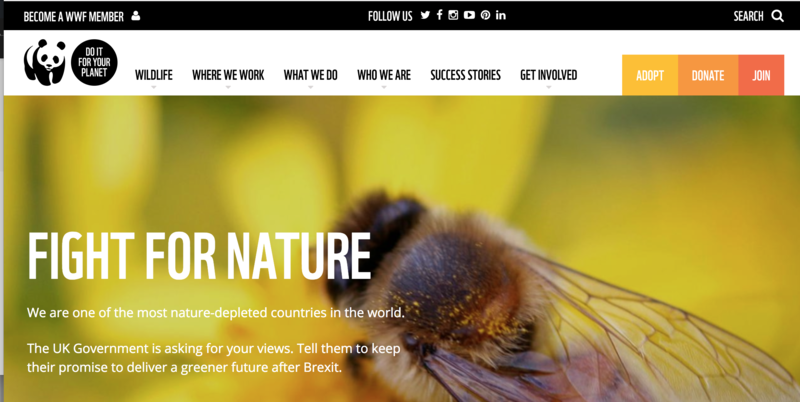 The World Wildlife Fund are indisputably progressive in their embrace of the four ‘C’s of community, co-creation, customisation, and conversation as evidenced by the third post in Mashable’s Summer of Social Good series on #FindingTheGood (a week of posts dedicated to profiling charitable initiatives using social media). Social media has played very well into the goals of the World Wildlife Fund providing them with the opportunity to engage supporters and reach new audiences in a way they have not ever been able to in the past, according to Claire Carlton, who is the Social Media Manager for The WWF’s Climate Policy Campaign. The WWF are doing some of the things we do well here at The Hunting Dynasty: Marketing Strategy – or how to get a product or service to a market that will buy it; and Product/Service Development – broadly speaking developing what you will market, rather than marketing what you have developed. However, somewhere behind all this there’s one brilliant mind – the one that decided to use the hive mind.